Traditionally, elegant weddings have been serious and short affairs. That was not the case for Marilyn and Cass. 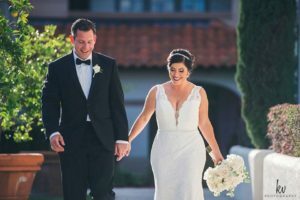 Their wedding was intimate and family-oriented. 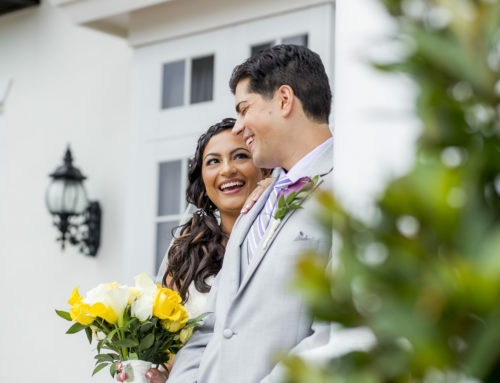 Held at The Alfond Inn, they kept the guest count under 80, giving it that true intimate feeling. 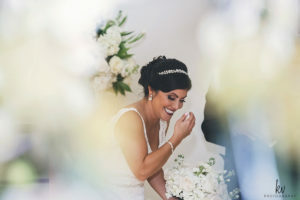 Humor is the base for a lot of marriages and it was clear to see that it is an integral part of this couple’s relationship. Marilyn and Cass had each other laughing all night long. Cass even had Marilyn laughing during the ceremony. There was one thing that made this wedding different from other weddings, Marilyn and Cass were already married. This allowed for less formality. 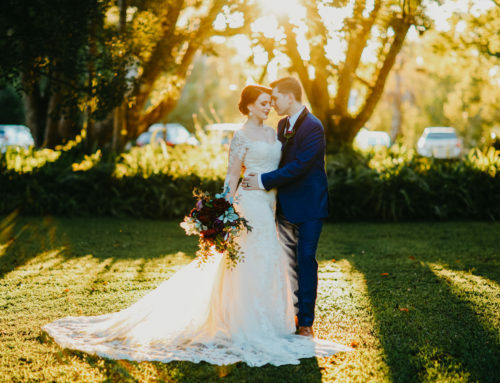 Most weddings begin with the ceremony, followed by the cocktail hour, and finally the reception. But Marilyn and Cass aren’t most people. 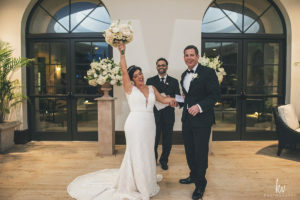 They had their cocktail hour and ceremony in the same space, the Conservatory at the Alfond Inn. There were four furniture arrangements set up, one in each corner of the room. 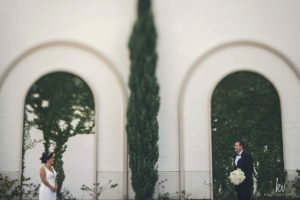 Two were reserved for the bride and groom’s families. The space in the center served as the ceremony space. That’s right, there were no chairs set up forming an aisle. People were able to stand and move around the room during the ceremony. 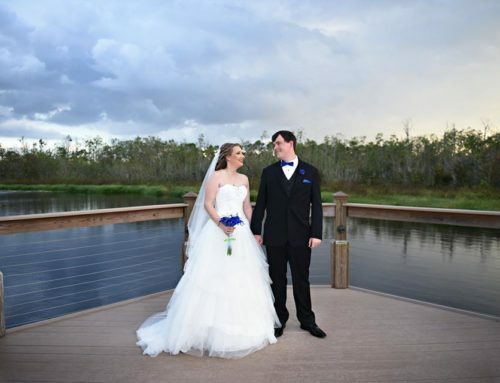 Since the couple were already married, the ceremony was actually only the vow exchange. Marilyn’s brother was the officiant for the endearing exchange. As someone who does not cry at weddings, the vows that Marilyn and Cass shared had me on the verge several times. 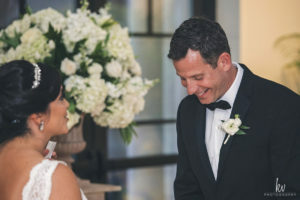 After the ceremony concluded, the guests were able to resume cocktail hour with the bride and groom. The reception followed shortly after. 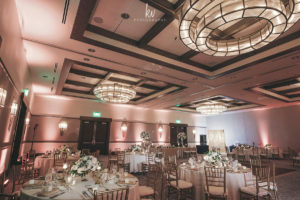 The reception could only be described as simple elegance. It was held in the ballroom which was draped off and lit with amber uplights. 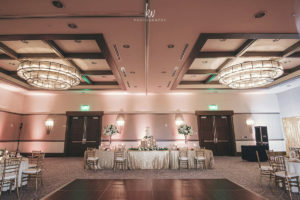 Instead of having a sweetheart table, the couple chose to have a head table for the bride, groom, and the immediate family. 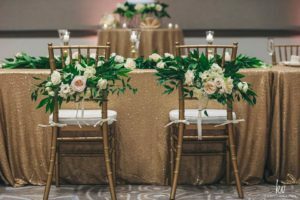 The table was draped with a gold sequined linen. 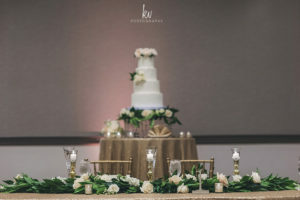 Floral arrangements were draped over the backs of the bride and groom’s chairs and behind those chairs stood the 3-tiered cake looking larger than life on a high-top table. A short rose-filled garland adorned the head table, it stood out from the centerpieces of the surrounding tables. 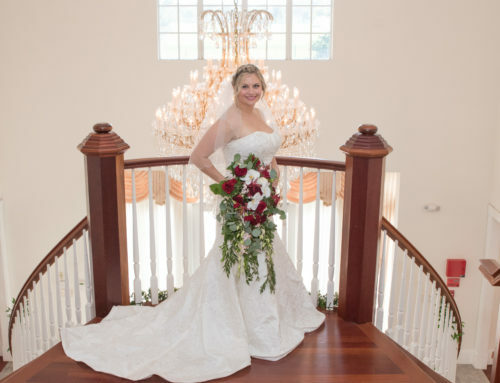 On each of the surrounding tables sat a bouquet of neutral-colored roses in a gold vase enhanced by votive candles. 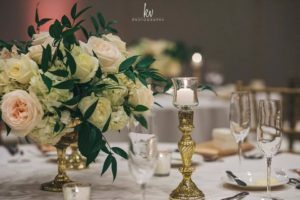 The votives were a mixture of metal hues in various heights and sizes which provided a romantic feel throughout the room. Simple elegance; there is no other way to explain it. 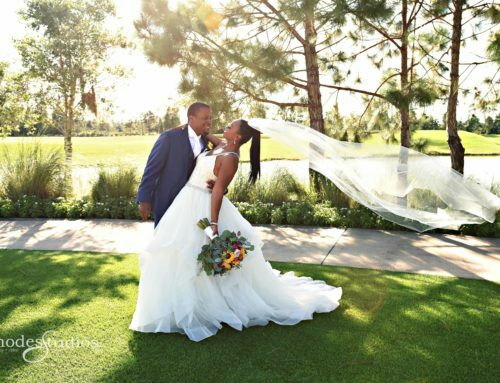 Marilyn and Cass simply make a fabulous couple and their wedding was truly a reflection of their love and commitment to one another. They were a sweet and welcoming couple who made us feel as though we were a part of their family.